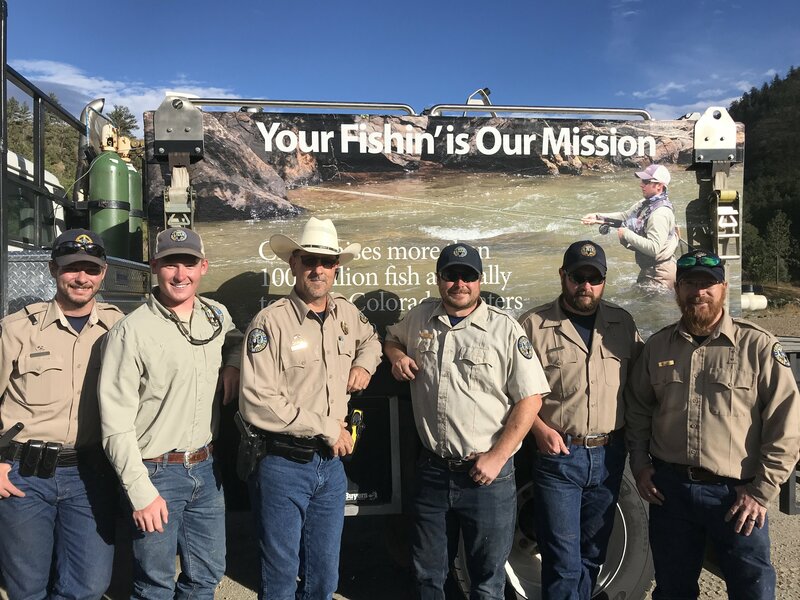 DENVER – Since the disastrous flood of 2013, Colorado Parks and Wildlife, the Colorado Department of Transportation, several city agencies and multiple federal entities collaborated on what turned out to be the largest stream restoration project in the history of the state up the Big Thompson Canyon. The highway repair and stream restoration project, largely funded with federal dollars, had a total cost exceeding $500 million. Jeff Spohn, senior aquatic biologist for CPW, believes this project not only met, but exceeded expectations. ARLINGTON, Va. – The National Milk Producers Federation (NMPF) thanked the U.S. Food and Drug Administration (FDA) for its announcement today that it will extend by 60 days, until Jan. 25, the public comment period during which the agency is seeking information on the proper names for plant-based beverages. The original deadline was Nov. 27. BROOMFIELD, Colo. – Five positions within the State Noxious Weed Advisory Committee will become vacant in December 2018. Nominations are now being sought to fill these important positions. The deadline to apply has been extended to December 10, 2018. CO: This Rural Development investment of $528,000 will be used to help Welcome Home Montrose purchase a site to serve veterans. This nonprofit organization is a full-service welcome center for veterans and military families to receive counseling and participate in support groups, training and other supportive services. This funding will provide a permanent home for the facility. It will benefit the area’s 19,132 residents. WY: This Rural Development investment of $21.246 million will be used to finance an acute-care hospital expansion and renovation. The Hot Springs County Memorial Hospital is located in Thermopolis, Wyo. It serves the 4,812 residents of Hot Springs County and the surrounding areas. The original hospital was constructed in 1959, with only two notable renovations in 60 years. The project will include an expansion of the hospital, demolition of the patient wing, and extensive renovation of the existing facility including the clinic, pharmacy, imaging, and sleep lab. The hospital has been a cornerstone of the Hot Springs County community since its inception. It is the second largest employer in the county, with 143 employees. Additional funding includes a $5,336,000 USDA Community Facilities loan guarantee and a $250,000 applicant contribution. converting two semi-private rooms with shared bathrooms to private rooms, and adding 10 beds. The project will help keep elderly people close to their families and communities. Additional funding includes a $1,428,000 Community Facilities loan guarantee. MT: The Blackfeet Tribe is receiving an $8 million loan to help build a 39-bed, long-term-care facility on the Blackfeet Indian Reservation in northwestern Montana. This project is Phase I of a planned 47-bed facility. Phase II will be constructed at a future date. The new, 27,079-square-foot facility will replace a smaller one that is 47 years old. It will provide space for residents who are now in facilities that are more than 60 miles from the community. This project will benefit the approximately 7,000 members of the Blackfeet Nation who live on or near the Reservation. Denver, CO), November 15, 2018 – U.S. Department of Agriculture (USDA) Farm Service Agency (FSA) State Executive Director Clarice Navarro reminds Colorado producers who experienced losses from natural disasters during the 2017 and 2018 calendar years that they may be eligible for assistance through the Tree Assistance Program (TAP), Emergency Assistance for Livestock, Honeybees and Farm-Raised Fish Program (ELAP) and Livestock Indemnity Program (LIP). DENVER, CO – NOVEMBER 15, 2018 – Guests and exhibitors will begin noticing changes throughout the grounds as we prepare for the new home of Stock Show. The first of these changes will take place in our beloved and historic Stockyards. The upcoming 2019 Stock Show is the last year “The Yards” will be seen in their current layout. After January, construction will visibly begin on the new campus, as a portion of the Stockyards will be relocated to begin work while still allowing the Stock Show to operate. Located just north of the current site, the new 800+ pen Stockyards will still house thousands of cattle and the infamous catwalk each January. The new layout will standardize pen sizes with removable rock bottom pens, while still providing permanent pens for bison (see above) and water and power throughout – eliminating the need for generators. You’ve probably heard that breakfast is the most important meal of the day. But did you also know that a hearty breakfast of two pieces of toast, two eggs, three slices of bacon, an apple, and a glass of milk will cost a consumer, on average, $2.03 to make at home, but only $0.48 will make it back to the farmers and ranchers who grew those ingredients? The other $1.55 goes to off-farm costs, including processing, marketing, wholesaling, distribution, and retailing. Learn more about the Farmer’s Share here. RESEARCH TRIANGLE PARK, NC, Nov. 15, 2018 – The Soil Health Institute (SHI) today released a 60-minute documentary that captures the history – and significance – of the soil health movement. With Democrats taking control of the House of Representatives, key party leaders in the chamber are demanding changes to the U.S.-Mexico-Canada trade agreement. The USMCA, an updated version of the North American Free Trade Agreement, is expected to be signed by the U.S., Mexico and Canada during the upcoming G-20 summit at the end of this month. However, Congress must approve the deal on a simple up or down vote. New Jersey Representative Bill Pascrell, who is positioned to chair the Ways and Means Trade subcommittee, says there needs “to be not only changes in the legislation but more enforcement.” Bloomberg News reports that with a presidential election in 2020, Democrats may be reluctant to approve a deal negotiated by Trump. Democrats may push for tougher labor provisions, a consistent demand by the party in an updated trade agreement. However, so far, no specific changes have been mentioned. Tests show African Swine Fever in China is not linked animal feed, according to a Chinese pork firm. Reuters reports tests “failed to confirm” the presence of African Swine Fever in animal feeds. The test came after recent reports that suspected ASF was linked to animal feed produced by a Chinese company. However, the company confirmed testing failed to show a link. Raw materials and finished products of animal feed were collected and tested last week. Still, contaminated feed is feared to be a contributor in China’s widespread outbreak of ASF, which reportedly has resulted in the deaths of 200,000 pigs since early August. China has previously blamed the outbreak on food scraps, often fed to backyard pigs. Last month, China confirmed 62 percent of the first 21 outbreaks were related to the feeding of kitchen waste. Regulations require that kitchen waste is heated before being fed to pigs, but experts say that step is often skipped. The practice has since been banned. The Senate Agriculture Committee will consider three Department of Agriculture nominations later this month. The Committee will consider the nominations of Mindy Brashears, Naomi Earp, and Scott Hutchins. The hearing was announced by Chairman Pat Roberts and ranking Democrat Debbie Stabenow. Brashears, of Texas, is nominated to be Under Secretary of Agriculture for Food Safety, while Earp, of Maryland, is nominated to be an Assistant Secretary of Agriculture for Civil Rights. Finally, Hutchins, of Indiana, is nominated to be Under Secretary of Agriculture for Research, Education and Economics. Brashears is a current Texas Tech professor, while Earp has once served as the chair of the U.S. Equal Employment Opportunity Commission, appointed by then-President George W. Bush. And, Hutchins, an entomologist, is a Corteva employee. The committee must consider and approve the nominations that would then be considered by the full Senate. The hearing is scheduled for Wednesday, November 28th. Ahead of Thanksgiving, turkey prices have hit a ten-year low. A report by Purdue University estimates turkey prices this year for Thanksgiving will average $1.45 per pound. Jayson Lusk, a professor and department head of Purdue’s Department of Agricultural Economics, says lower commodity prices, such as corn and soybeans used to make feed for animals, is “one of the drivers.” However, the lower prices are a sign of the depressed farm economy, Lusk says, that doesn’t seem to be reversing any time soon. Low food prices can have a ripple effect on other areas of the economy, especially around the holidays when consumer spending spikes. Lusk said it is likely savings accrued during Thanksgiving will be used to supplement holiday or Black Friday shopping. Imports of oranges are increasing with domestic production slowing due to citrus greening. A new report by CoBank shows domestic orange acreage is down almost 40 percent from its high of 20 years ago. Citrus greening is the leading cause for the decline, along with recent hurricanes in various citrus growing regions in the United States. CoBank says The U.S. sources virtually all its orange juice imports from Brazil and Mexico, with Brazil accounting for 66 percent of imports in 2017. In Florida, orange production is expected to continue to decline over the next three years as old groves devastated by greening disease are gradually replaced and new ones come into production. In the meantime, imports from Brazil will likely increase. In 2017 the U.S. imported 34.8 million and 17.9 million single strength equivalent gallons of orange juice from Brazil and Mexico respectively, accounting for 99.3 percent of orange juice imports. While supplies have been shrinking, so too has domestic demand for the juice. Current consumption of 2.4 gallons per capita is less than half of the peak of nearly six gallons per capita in the late 1990s.